Company Intamac has launched its broadband home monitoring products and services with WoonVeilig in The Netherlands. 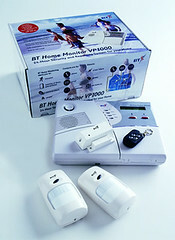 The BT Home Monitor VP1000 is easy to install DIY wireless security alarm and monitoring system. First of all it’s a security system. So, VP1000 includes a security panel and various wireless sensors: motion, smoke and flood detectors. The security panel offers a few pre-defined mode for the home security and possibility to connect to the broadband Internet to have access from everywhere. Additionally wireless D-Link IP cameras can be connected to the system to allow monitor you home. The price of BT Home Monitor VP1000 including Main Control Panel, 2 Wireless Movement Detectors, Wireless Door Contact and Remote Keyfob is £115.99. Additionally consumer should pay £5 per month for the access to his online account and includes the cost of all outbound voice call, sms text message and e-mail notifications from our monitoring service. 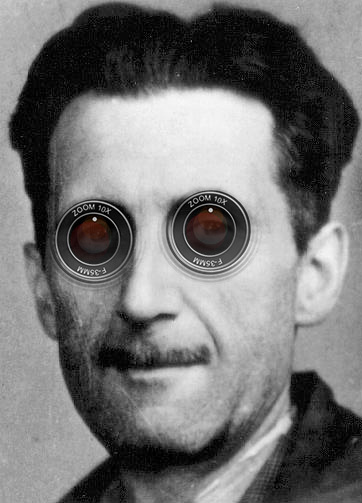 Additionally £2.5 should be paid for monitoring 4 IP cameras. The new Intamac security system looks very similar to AlertMe but offers more useful features then it. However, AlertMe is based on standard home automation protocol ZigBee which is much better that using some proprietary unique one (I couldn’t find any information aboutVP1000 protocol). In any case, those two systems show a new tendency in the DIY home security and monitoring systems.